If you are the 'Heritage Bus Day Out' Two day Show organiser and you would like to update or amend the details shown, please contact us. Thank you. When is the next Heritage Bus Day Out? Saturday 14th to Sunday 15th September, 2019. 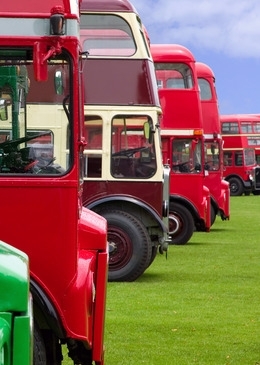 Heritage Bus Day Out is listed under September 2019 Shows. Although we try to keep the information for this event as up to date as possible, we cannot guarantee that things haven't changed at the last minute, and we haven't been informed. Therefore, please contact the 'Heritage Bus Day Out' event holder directly to confirm all details (especially event name, dates and location) before setting off to Cheetham Hill. The Heritage Bus Day Out is planned to take place at Museum of Transport, Boyle Street, Cheetham Hill, Manchester, Saturday 14th to Sunday 15th September, 2019. Every year in September we take part by providing free admission to the Museum for the event and operate a free heritage bus service linking the Museum of Transport with the People’s History Museum, the Museum of Science and Industry and Manchester Jewish Museum. The Open Days are England's biggest heritage festival involving 40,000 volunteers. It celebrates our fantastic history, architecture and culture; offering people the chance to see hidden places and try out new experiences - all of which are FREE to explore.